Alan Coats' first job at WED (Walt Disney Imagineering) was to destroy attraction and character models that were no longer used or needed. Fortunately, his future projects at Disney actually allowed him to create things. Cinderella Castle and it's a small world. 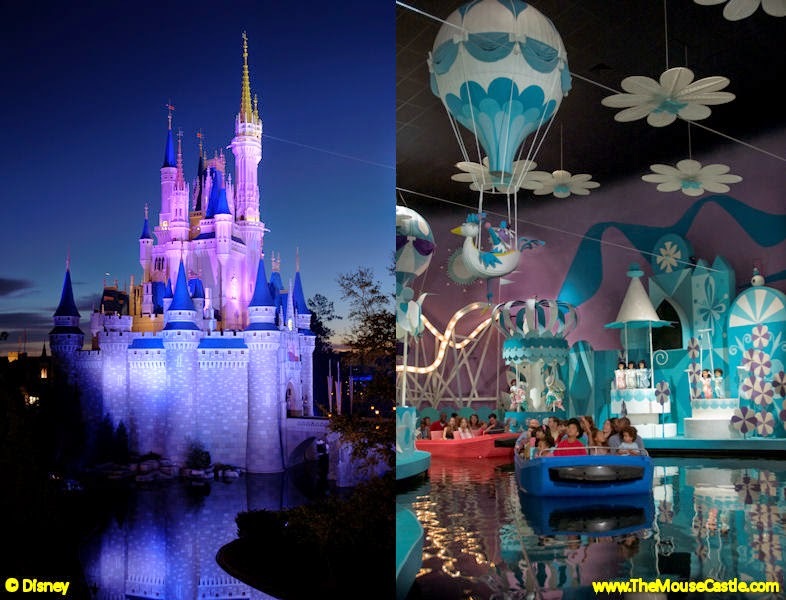 With Yale Gracey, Alan did lighting design at Walt Disney World, often working late hours to get exterior lighting correct for Magic Kingdom structures like Cinderella Castle -- just in time for the October 1971 grand opening. He worked on the interiors of many other attractions, including it's a small world, and later partnered with his father, Claude Coats, to design the Eastern Airlines travelogue ride If You Had Wings. Alan would then move on to various projects at Epcot's World Showcase. In part two of Alan's visit to The Mouse Castle Lounge, he shares more of his experiences as a self-described "Disney brat" and recalls his father's legacy as an artist and Imagineer. Two generations of Disney creative artists are yours in this edition of The Mouse Castle Lounge. Enjoy! Subscribe to Inside the Mouse Castle on iTunes and Stitcher.